2019 is here, and with it comes the opportunity to ramp up all your local business digital marketing strategies. 2018 was a big year for Google My Business, and if the predictions are true, Google My Business (GMB) will be even more important in 2019. 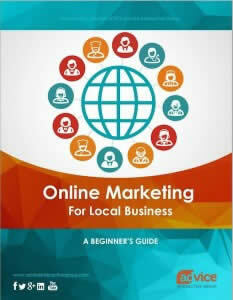 Keep reading to learn how to beat out the competition online. Google wants searchers to use their search engine as much and as long as possible, which is why they’ve implemented featured snippets, answer boxes, Google My Business posts and deals, and the knowledge panel – which varies per industry. With that in mind, it is safe to say that GMB will likely play a key role in Google’s ranking factors for 2019. A good GMB listing should include all the information on the local business’ website, readily available for consumers without having to leave the search engine. After all, businesses that provide this information are likely to get a preferential treatment on SERPs. Local businesses are always on my mind, and nothing makes me happier than helping you help them get found online. This post will give local businesses and agencies alike all the information they need to create, claim and optimize a GMB listing in 2019. Visit Advice Local to [read more].